FSH or follicle-stimulating hormone is one of the hormones instrumental in helping to control and regulate the menstrual cycle and is also partially responsible for the production of the ova (eggs) in the ovaries. It is an indicator of a lot of things having to do with fertility. To learn all the details about the role of FSH in female and male fertility, go to our guide FSH Levels and Your Fertility. For women, it’s important to know that FSH levels differ throughout the menstrual cycle, just as any other hormone of the monthly cycle. Doctors believe levels over 10 – 15 IU/L (international units per liter) may be high, depending on where you are in your cycle and where you get testing done. As women get older and enter their 40s, it is natural for FSH to get higher. That is one of the indicators of the natural “change of life” and that hormonal shifts are happening. Men can also have low/high FSH. missing period or no ovulation (anovulation). If you have low FSH, this may be an indicator of possible issues with the pituitary gland or hypothalamus. Some people reach out to us really stressed because their FSH is a specific number and they want to get it down. While it is helpful to know where your levels are and it tells us a lot, it is one part of a big orchestra and it is not everything. Not all is lost, there is a lot we can do with this information! The tips I talk about are going to help with both low and elevated FSH levels because natural therapies help support the healthy function of the body systems that produce and regulate FSH and all hormones in the body. The #1 goal is to support healthy hormonal balance overall. There are however natural ways to specifically impact on FSH levels. These foods help nourish the systems that regulate FSH levels and all other hormones. These foods don’t specifically lower FSH, these foods support the body systems responsible for healthy FSH levels, as well as estrogen, progesterone, and other hormonal levels. Essential fatty acids – You need healthy fats (omega 3 EFAS) in order to produce healthy amounts of hormones. Focus on eating nuts, seeds, grains, avocados, and cold-water fish. You can also take a supplement like Fertilica Cod Liver Oil or Omega 3-6-9. Sea vegetables and dark leafy greens – Sea vegetables contain iodine which is very nutritious for the body and are really mineral dense. They are food for the endocrine system. Bee pollen – It is a very nutrient-dense food. We offer Active Bee Powder that contains bee pollen. It has a lot of different vitamins and minerals to help the immune system and support the body overall. Spirulina or a green powdered drink – These provide a ton of minerals to the body, as well as protein, amino acids and fiber. Adaptogens support and nourish the endocrine system. The glands of the endocrine system make hormones and help control what hormones are being produced, when they are produced and likewise when they are secreted. You’ll hear/read a lot about the pituitary gland. FSH is one of the many hormones the endocrine system makes. American Ginseng (Panax quinquefolius) – This is a great herb for both men and women. It is an adaptogen. It is one of the best ones for men with high FSH levels. For women, it is fantastic for supporting the pituitary gland and hypothalamus. It may help with luteinizing hormone (LH), progesterone, or testosterone, yet only if it is needed. American Ginseng is best used for at least 3 months’ time for hormonal health, although when starting this herb, energy and mental clarity may be experienced quickly. Maca (Lepidium meyenii) – Maca is also an adaptogen. It can help with erectile dysfunction, testosterone production, progesterone and estrogen balance. It is doing this because of the action on the endocrine system, not because it contains hormones itself. That is why I love using herbs and a natural approach; we are helping the body to function properly so it can do its job. Vitex (Vitex agnus-castus) – B By supporting pituitary gland function, Vitex helps encourage luteinizing hormone (LH) production, mildly inhibiting the release of FSH and helping with increasing progesterone levels over time. Vitex only has these actions if that is what the body needs. It will raise or lower a hormone level that does not need to be raised or lowered. That is the intelligence of herbs! Natural therapies are great to use alongside diet changes and herbs. 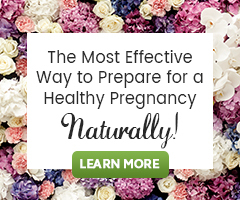 This is a holistic approach to hormonal balance and fertility health. Natural therapies help the communication loop or hormonal feedback loop – the different glands of the body are communicating with each other about what hormones to release and when. Self Fertility Massage helps with HPA Axis communication as well by massaging the ovaries. You could also find a fertility massage therapist or a Mercier Therapist. Women who are 10% below their ideal weight have lower FSH levels and women who are above a healthy weight tend to have higher FSH levels. This is something to keep in mind if you have tried a lot of things, but have yet to see a shift. The most important thing to remember is to not stress about this one number. It is important to look at the bigger picture and know that the body is communicating something to you. FSH is one part of a big hormonal orchestra and it is not everything. Not all is lost, there is a lot we can do with this information! Reach out to us for support in learning the best program for your individual needs!